When you have a hotboxkitchen the last thing you want to do on a hot summer day is turn on the oven. I try to avoid turning on the oven during the summer at all costs. However, there are a few occasions where I break that rule. 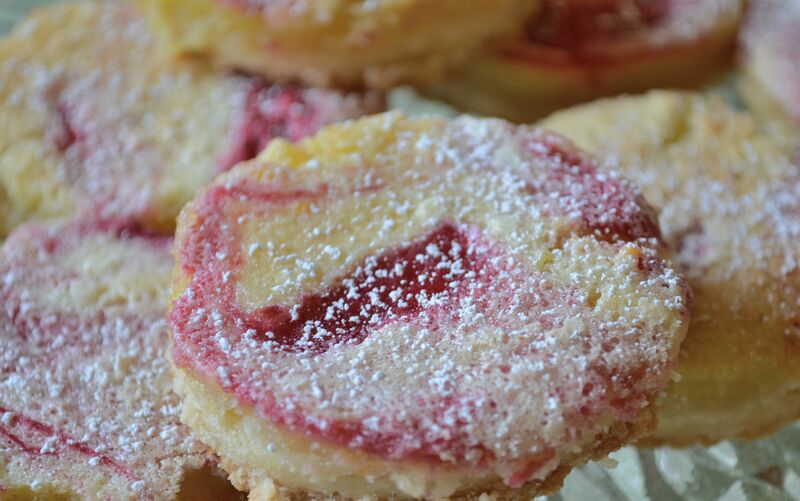 These Raspberry Lemon Rounds are one of those occasions. 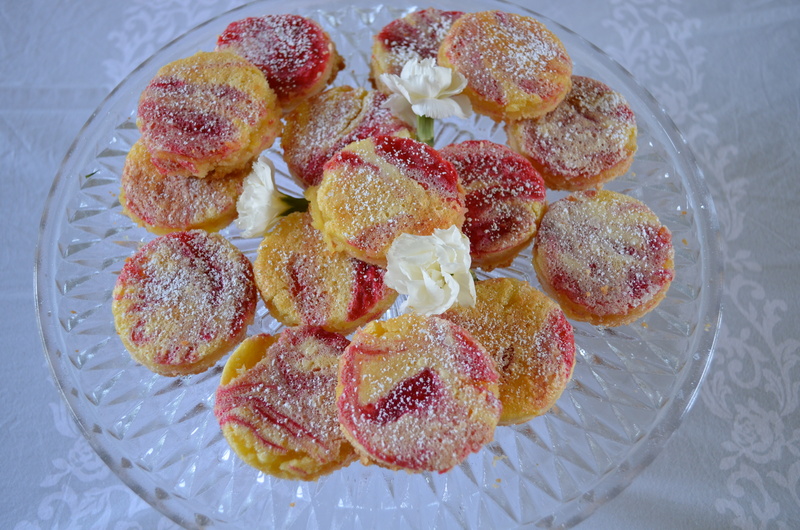 They are tart, sweet and all around a must have treat for barbeque season. Combine the raspberries, sugar and orange juice in a saucepan. In a small bowl, whisk the water and cornstarch. Add the mixture to the saucepan with the raspberries and bring to a boil. Simmer for 5 minutes, continuously stirring. Puree the sauce until smooth in a food processor or blender. Strain the sauce through a sieve and place the sauce in the freezer for about 30 minutes so that it can thicken and cool. Preheat oven to 350°F. Line 13×9-inch baking pan with parchment paper and set aside. In large bowl, using an electric mixer, beat butter and 1/2 cup granulated sugar until light and fluffy for 3 minutes. Beat in 2 cups flour until you see fine crumbs. Press into prepared pan and bake for 20 minutes. 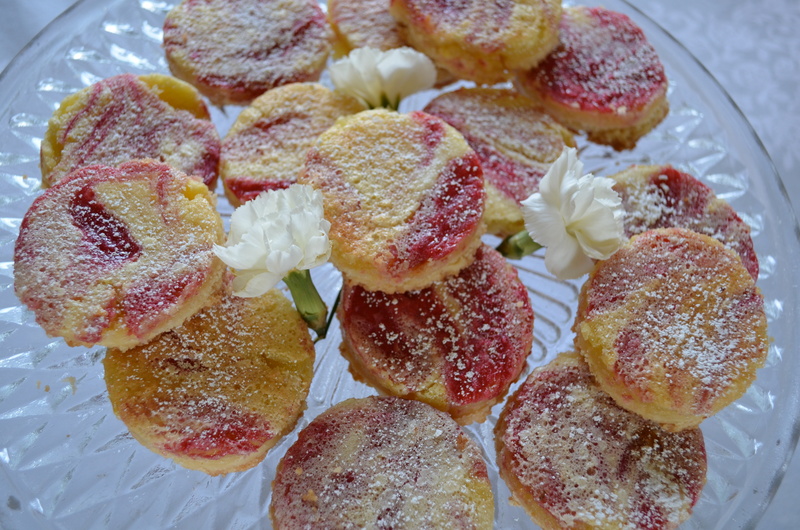 While that is baking, in a medium bowl, using an electric mixer, beat the eggs, remaining 2 cups granulated sugar, remaining 1/3 cup flour, lemon juice, orange juice and grated peels for 4 minutes or until light and fluffy. Pour the lemon mixture over the hot baked crust. Remove the raspberry sauce from the freezer. Using a spoon, drizzle the sauce in the lemon mixture and swirl. Use as much or as little of the raspberry sauce as needed to get the desired swirl look you want. 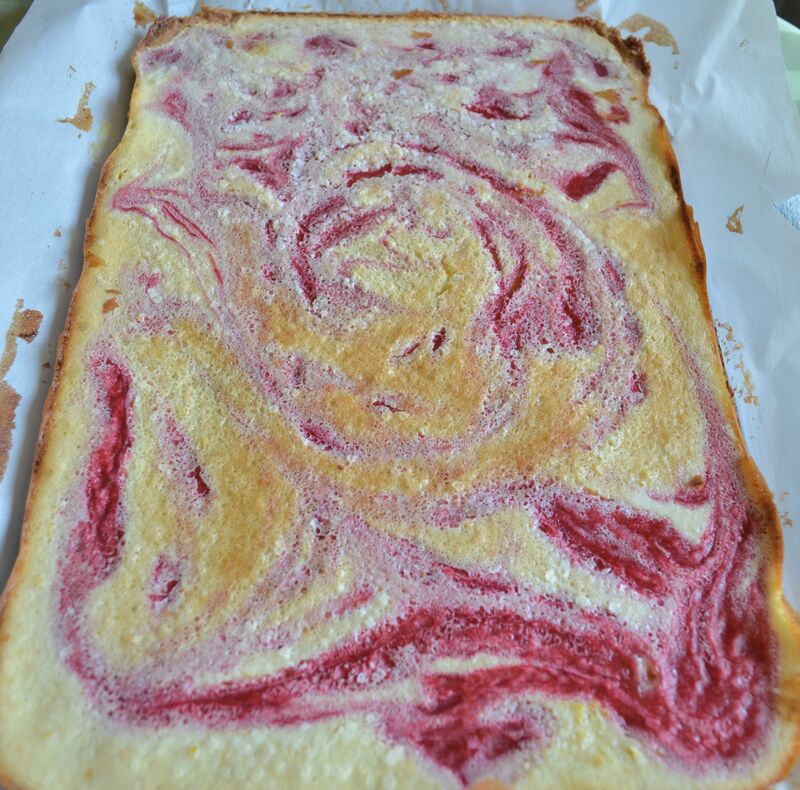 Bake an additional 25 minutes or until raspberry lemon mixture is set. Cool completely. Use the parchment paper to lift and place on a hard surface. At this point you can cut the tart into squares. 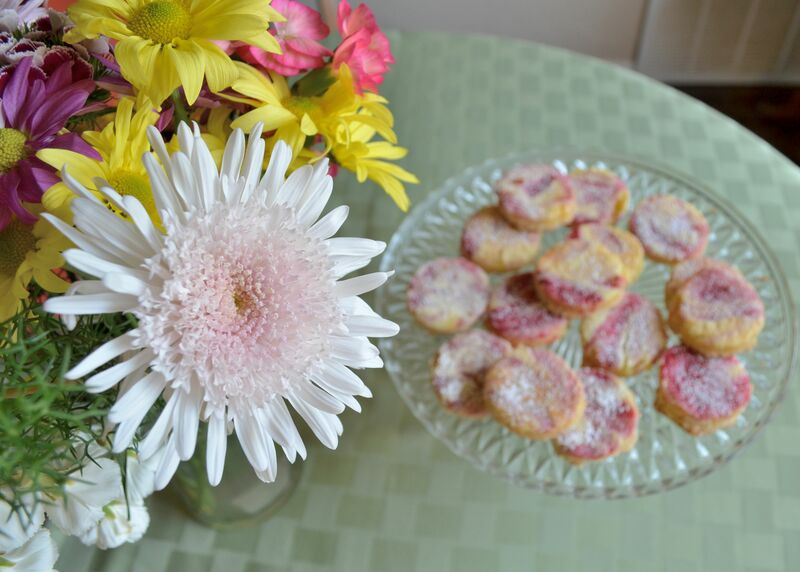 I used a medium circle cookie cutter to shape them into rounds and really liked the look. 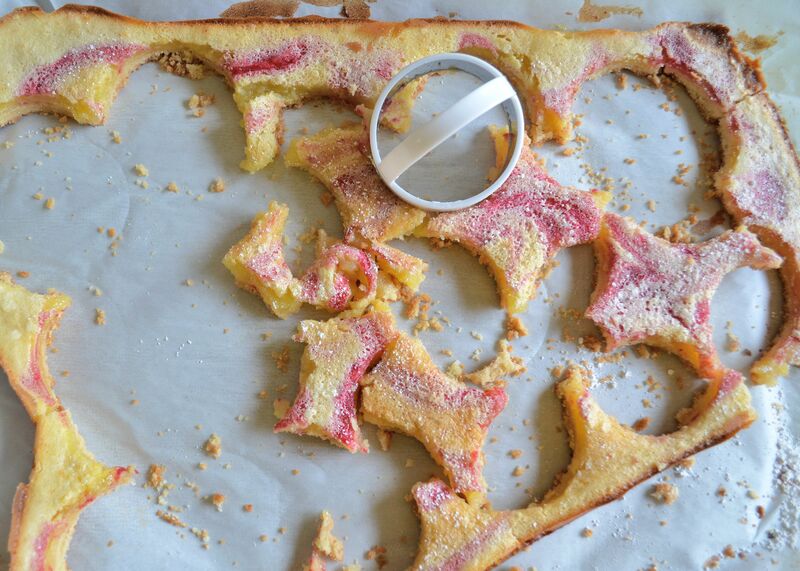 If you go the cookie cutter route, don’t worry about wasting the scrap pieces because they are just as edible as the round ones! Sprinkle generously with powdered sugar and serve. 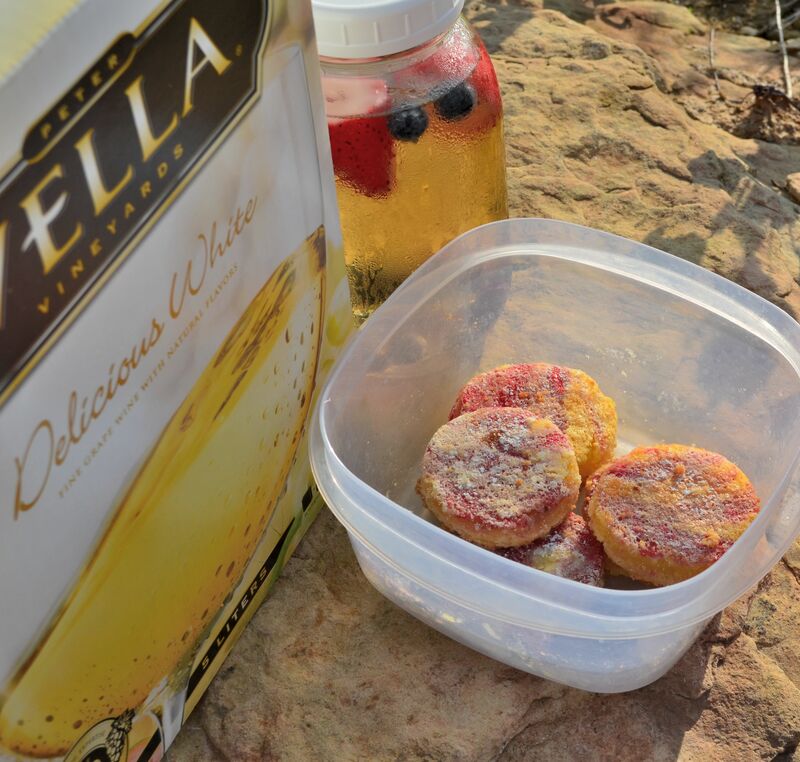 I took some to the lake over the weekend and my friends were happy I brought them. They also look lovely next to some fresh spring flowers. From a personal (and delicious) experience, I agree that these are worth heating up the hotboxkitchen!